The Vigorelli Road has proved to be a huge success due to its versatility and ride quality. It returns for 2019 in a stunning metallic purple with chrome decals and is 1×11 ready. Constructed in Columbus Thron tubing and matched with a Columbus Futura Carbon fork, the Vigorelli was designed in conjunction with the riders of Team Cinelli Chrome, Red Hook Crit Champions. 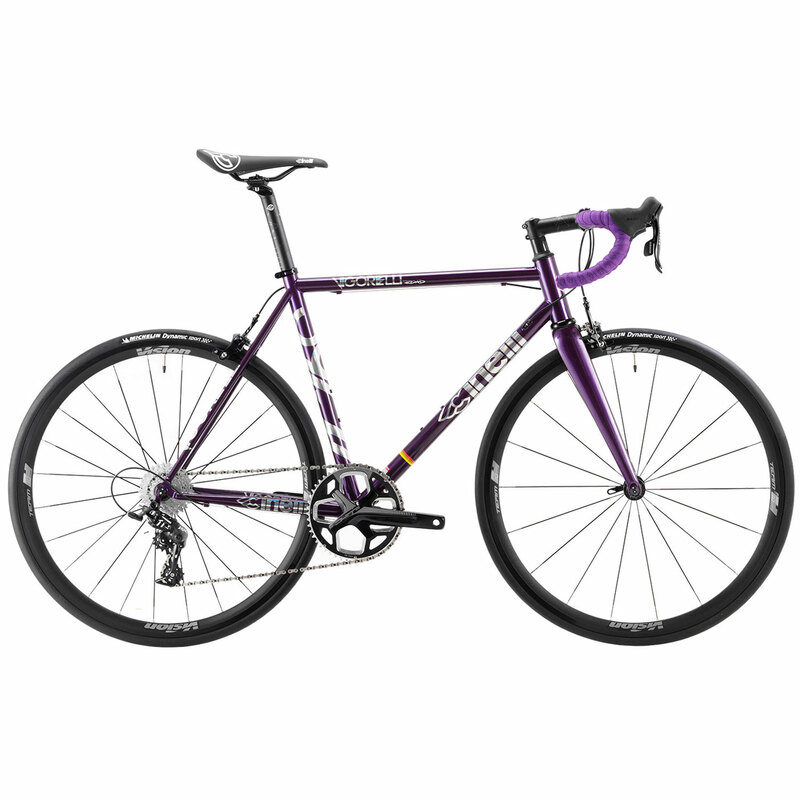 The steel construction allows for perfect weight distribution that only this material can produce, thanks to the advanced engineering of the different steel tube thicknesses for different parts of the frame. It enjoys minimal toe overlap and a higher bottom bracket position. Thanks to its fixed-gear criterium racing heritage, the Vigorelli road is for riders looking for a fast and positive ride, but with the everyday comfort of a steel frame that can take up to 700 x 28 tyres. It exactly replicates the geometry and handling of the Vigorelli Steel to make what is probably the world’s most aggressive steel production road bike.